We love adding to your travel experiences with unusual things to do in Thailand. Across the celebrated Andaman Sea and Gulf islands, there are beautiful places waiting to be discovered. We are lucky to have so many Eats and Retreats villas within easy reach of these unique places to visit in Thailand. It’s our pleasure to guide you to some great adventures that highlight the way o travel off the beaten track in Thailand. Koh Samui is a holiday makers dream and visitors here are not short of unusual things to do in Thailand. If you are looking for a special ‘island moment,’ then try this unique place to visit in Thailand. Just getting to the location of the Jungle Club’s spectacular views will give you an intimate introduction to Thailand off the beaten track! Built from traditional materials on an old coconut plantation, this unique restaurant in Thailand uses the space well to create a multi-level relaxation experience. 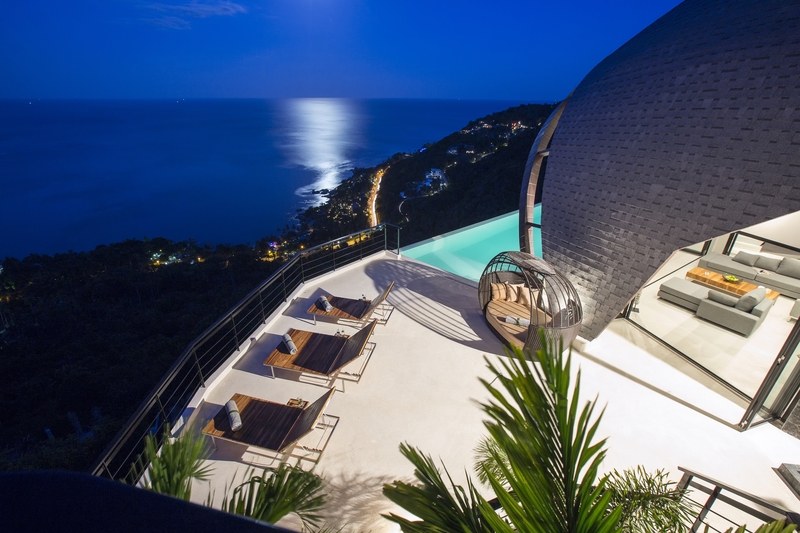 The modern design blends easily into the landscape and delivers every guest a comfortable space to enjoy the views. Add the Jungle Club to your list of unusual things to do in Thailand and enjoy great moments with sweeping views over Lamai and Chaweng. The Jungle Club offers a pick-up service for 100 baht for your group, each way. Do not be tempted to use a scooter to climb the hill! Opt to walk – it’s safer! Even with Koh Samui’s global attraction is it still possible to find a Thailand off the beaten track on this most popular of islands? Yes, is the answer! The island of Samui has a hidden gem full of old-fashioned appeal for those seeking unusual things to do in Thailand. Tucked away on the south-west coast is the fishing village of Thong Krut, a living reminder of the charm of Thailand off the beaten track. Thong Krut’s sleepy neighbourhood boasts many restaurants serving up delicious freshly caught seafood at this unique place in Thailand. You can experience Thailand off the beaten track in all its splendour with the numerous brightly coloured long tail boats that fill the scenery. Among the unusual things to do in Thailand at this location is to take a Sea-Walk along the ocean floor, or to visit the islands of Koh Tan and Koh Matsum. Although Samui’s other beaches are more suited for swimming and water sports there is definite charm about this sandbar area at low tide. Change has taken time to come to this unique place in Thailand but now developers are keenly looking at this last slice of rural charm. So, head to the southwest and discover Thong Krut and all its unusual things to do in Thailand that remain in this undeveloped region of Koh Samui. Nowadays, Koh Samui attracts more visitors arrive carrying suitcases than backpacks but you can still travel off the beaten track in Thailand. Tucked quietly away on the perfectly named Silent Beach the cosy Tree House restaurant evokes warm memories of Koh Samui’s backpacker past. This unique place to visit, in Thailand in Maenam, is a super location to gently step out of the fast line. The Treehouse serves up fantastic curries, seafood delights, and tosses in a tasty European twist with baguettes and wraps on offer. Children are always welcomed by the extremely friendly staff at this unusual place to visit in Thailand. Follow the flowers from the main road down to reach this unusual place in Koh Samui. There is a comfortable lounge area or you can choose to have a romantic meal on the beach. The beach bar is laid back and has the true Thailand off the beaten track feeling. A long time leader for lovers traveling off the beaten track in Thailand, Koh Phangan, lies temptingly nearby to Koh Samui. This unique place to visit in Thailand features some amazing landscapes and many great beaches. Bottle beach lies in the north and has been called one of the best beaches in the country. Koh Phangan has a sleepier feel than Koh Samui and the island tends to attract a more laid back, casual holiday tourist. Bottle Beach captures just about everything about Thailand off the beaten track. The white sand beach is beautiful and this unusual place to visit in Thailand is wonderfully sleepy and at ease. Getting to this unusual place to visit in Thailand can be made a few ways. The most common way is by taxi boat from nearby Chaloklum, but in the dry season, a good 4×4 can traverse the unsealed dirt path. If you are feeling adventurous, you can hike a dirt path for an hour or so to reach this unique place to visit in Thailand. Catching an awesome sunset is one of the most valued Thailand off the beaten track experiences you can have. A few kilometres inland from Koh Phangan’s main town of Thong Sala you will find a unique place to visit in Thailand. The Secret Mountain Bar has incredible views across Koh Phangan and out to the sunset. This unusual place to visit in Thailand offers up food, drinks and chilled music during the days. There is also a cool swimming pool too to sooth away any rough edges of Thailand off the beaten track! The ascent to this unique place to visit in Thailand is a steep and breath-taking ride so hold on tight. Only in operation for a couple of years, this unique place to visit in Thailand is a true winner. There are plenty of different levels and platforms to find your perfect chill out spot at this unusual place to visit in Thailand. Thailand off the beaten track never got as good as the Secret Mountain Bar. When on holiday it’s always good to find a nice viewpoint to get a bird’s eye look at your surroundings. Khao Toh Sae, just outside of Phuket Town is an unusual place to visit in Thailand and gives great views across Phuket island. This unique place to visit in Thailand meets all the criteria needed for a wow factor. Khao Toh Sae is also known as Monkey Hill and this real gem of Thailand off the beaten track certainly lives up to its name. 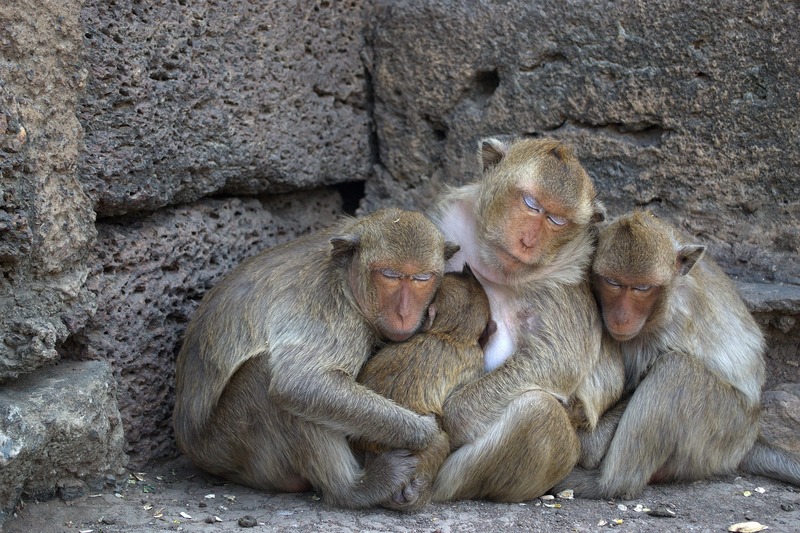 Hundreds of macaque monkeys gather at this unusual place to visit in Thailand. The monkeys are not dangerous but can certainly have a degree of mischief about their behavior. It’s a nice hike of about an hour to wind your way to the top of this unique place to visit in Thailand. There are lots of chances to sneak a peak of the view as you climb this unusual place in Thailand. Sunset is a great time to see this bit of Thailand off the beaten track. You’ll meet more monkeys on the way and the heat of the day will have dissipated. Watch your belongings as the monkeys can be crafty and naughty. 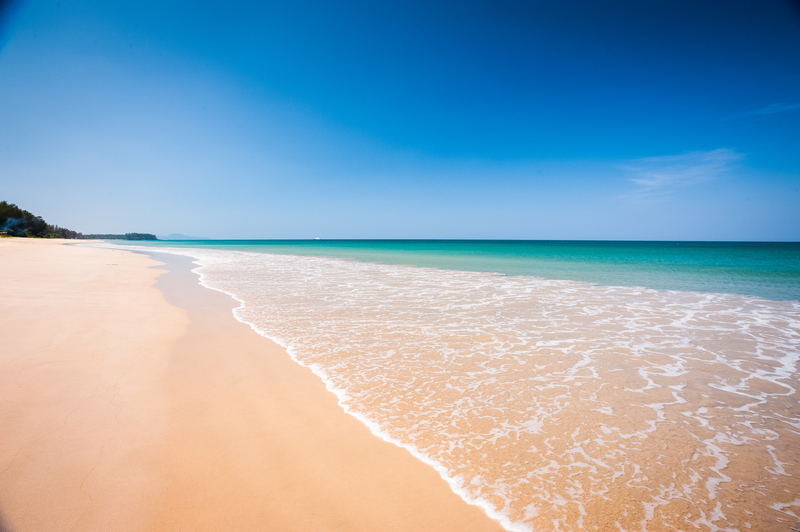 Most visitors to Phuket will never have heard of Natai beach. Even many long termers have yet to discover this hidden gem of Thailand off the beaten track. This unique place in Thailand is just across the bridge that joins Phuket to Phang Nga province. After just 10 minutes the joys of this unusual place to visit in Thailand will replace crowds and bustle of Phuket. Natai is a stretch of white sand that runs for kilometres and a unique place to visit in Thailand. Once you find this beautiful piece of Thailand off the beaten track you won’t want to leave. There are no beach vendors, sun loungers, tailor shops or jet skis at this unusual place to visit in Thailand. A few hotels and some large private homes are scattered along the beach and you may meet one or two others souls as you stroll along the sands. Lots of fishers gather at the Natai pier so try your luck and rent a rod and line to try your luck with the locals. You can find drinks and a pool at the cool, contemporary Baba Beach Club along the Natai beach road. While you are visiting Natai beach, then discover this gem of Thailand off the beaten track. Making a visit to Wat Tham Suwan Khuha is a wonderful and unusual thing to do in Thailand. This unique place to visit in Thailand is famed for its reclining Buddha and accompanying images. This unusual place in Thailand also attracts hundreds of monkeys so if you like the playful little creatures than visit this gem of Thailand off the beaten track. There are steps behind the reclining Buddha leading to a couple of small shrines. If you are searching for a hidden gem in Phuket, then this great local restaurant is the perfect example of Thailand off the beaten track. Bang Pea Seafood is a wonderfully charming and unique place to visit in Thailand. The restaurant is tucked away and is not so easy to find but locals, expats, and lucky short-term visitors all flock to this unusual place in Thailand. Bang Pae is located right on the edge of Phuket’s east coast mangroves. The views from the restaurant are out across the super ‘sea trees’ at this unique place in Thailand. Bang Pae is basic but friendly and nice with a lovely sense of peace that captures Thailand off the beaten track. Bang Pae Seafood has only a few tables and an extensive menu to excite all palates. If you are feeling adventurous, at this unique place to visit in Thailand, try the spicy Gaeng Som soup, a real local delight containing fish and omelette. You’ll be sure to enjoy the peaceful bliss of Thailand off the beaten track while you enjoy a great meal and the sight of the sleepy ‘sea trees’ out at sea. Looking for other impressive and unusual things to try in Thailand? Check this guide to the top free things to do in Thailand and this article about the best unknown historical sights in Thailand! 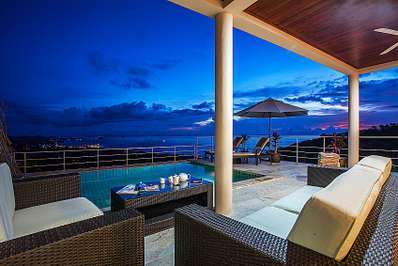 Eats and Retreats have many unique villas to choose from on Koh Samui, Koh Phangan and Phuket. In Koh Samui’s sleepy off the beaten track south-west Villa Suma, Pearl Villa and Baan Arun are lovely tranquil examples. Ama Lur and Samui Ridgeway cash in on the wonderful serenity around traditional Thong Krut while Phang Ka’s Renaissance Villa shines in perfect isolation. 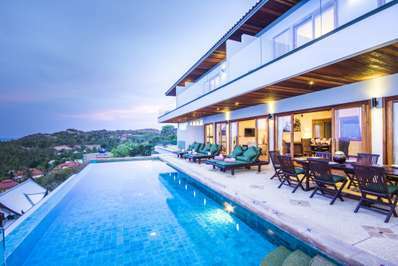 Our choices of unique homes in Koh Samui’s east and north is large and full of stunning Thailand experiences. Try the amazing Villa Tao and Moon Shadow villas, the sublime Villa Mia and equally superb Summitra Panorama Villa and Baan Kohia. Hop across the blue waters to Koh Phangan and prepare to be wowed by The Secret Beach, the lovely Baan Mai Lee and the pure bliss of the Choco Villa. 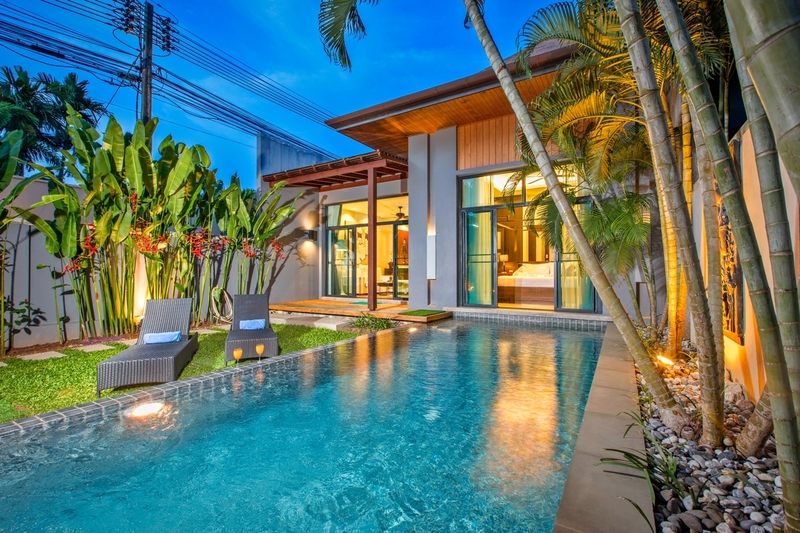 Phuket needs no introduction for its beauty and top-tier living. 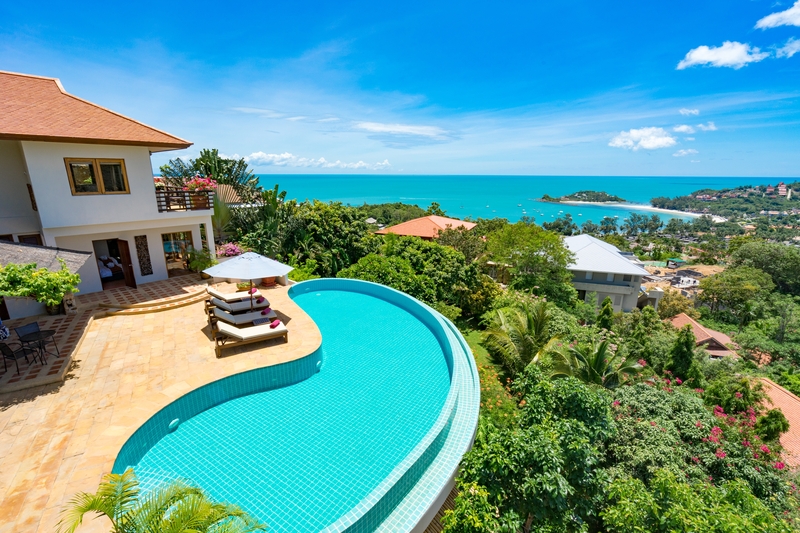 Our villas spread right across the island from the incredible Aquila and breath-taking Villa Essenza to the gorgeous Villa Samira and elegant Kalim Beach House. 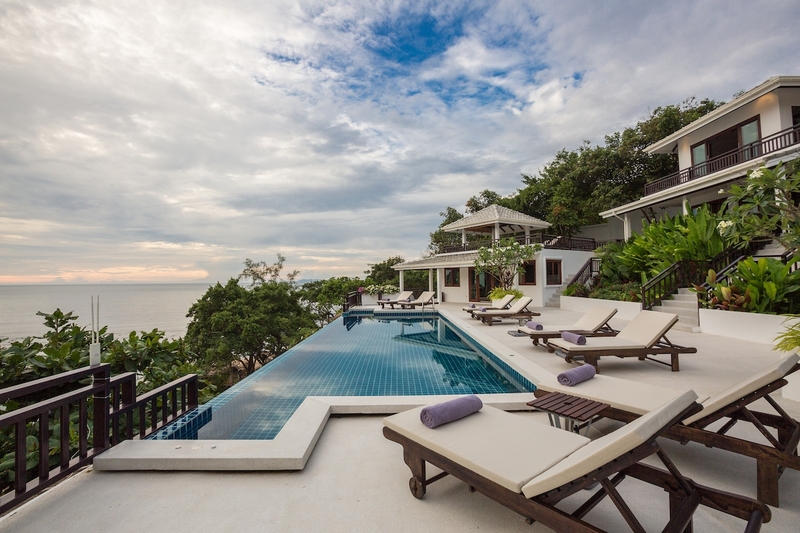 Maybe Baan Maprao will be your pick, or the stunning homes Villa Kanya, Villa Liberty or Villa Pagarang will turn your eye. Whichever you opt for, we guarantee you will love your stay. 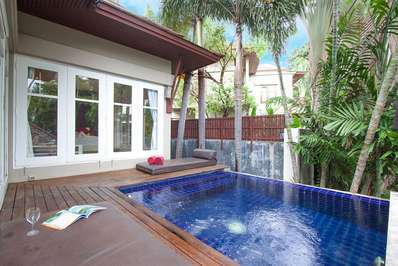 By the way, there is an impressive amount of pool villas under $230 that you can find in Phuket! Jessica is keen and passionate about travel and as a teacher lived and travelled in a variety of different countries in Europe, South America and South East Asia. She is now a freelance writer, based in Europe, but always makes sure she takes time out to be on the road exploring and discovering new destinations.